This is a fantastic image! It's got everything a portfolio piece should have, an intriguing story, characterization, people, animals, machines, and lovely execution. Why wouldn't you send it out? This is completely charming! 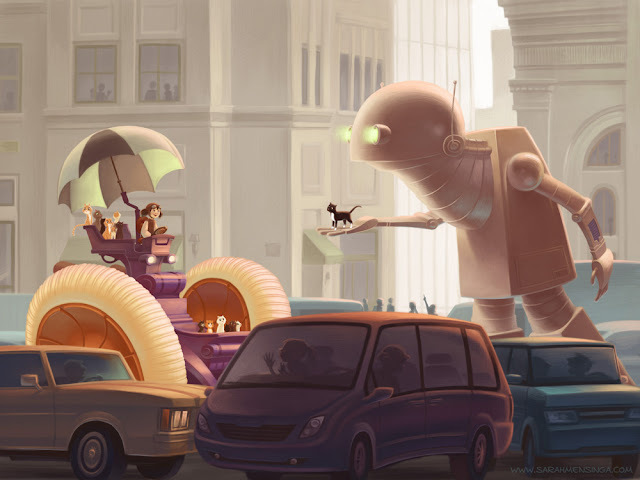 I like to imagine that the robot has a preheated hand and makes a purring sound so that the cats feel more at ease. Etsy Print Shop Now Open!